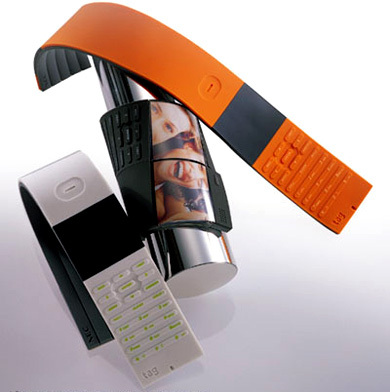 Designed for developing nations, the Motorola PVOT concept is a hand crank, rechargeable AA battery-powered phone. You get one minute of use for every 25 cranks. 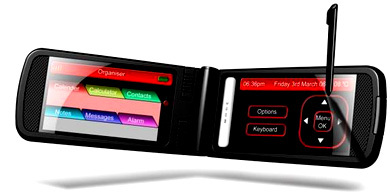 Other features include a 125 x 125 Dot Matrix LCD and an "Eraser Shield" keypad. Designed by Lunar Designs for Pantech, Pivot Point is a futuristic mobile phone concept, sporting a "swiveling screen that can be set up like an easel for easy typing." 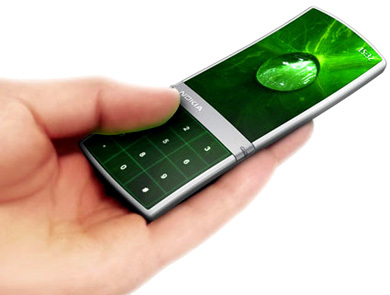 Synaptics introduces the Onyx mobile phone concept, which comes equipped with a touch-sensitive LCD panel instead of a regular keypad, allowing you to answer the handset "by simply holding it to your cheek, messages sent by swiping them off the screen with the whole finger. Nokia's research and development team have kicked it up a gear with an attractive "aeon" concept phone showing up in the R&D section of the company's website. 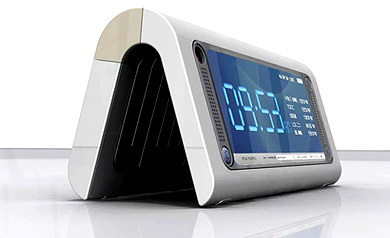 The most prominent design feature of aeon is a touchscreen that stretches over the full surface area of the phone, similar to BenQ-Siemens's Black box concept. "Currently mobile technology isn't quite up to realizing this fantasy, but we'll sleep better tonight knowing that at least one of the cellphone industry's biggest names shares the same dream as we do". 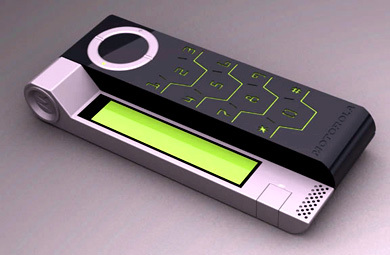 NEC has just unveiled "Tag", its next-generation cell phone concept. 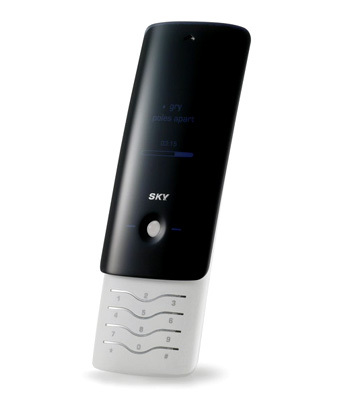 Available in white, black, or orange varities, this device boasts '"shape-memorizing" material -- the tag will bend and twist at your command.' Other specifications have not yet been released.